If you look around, you’ll see an over abundance of unhealthy snacks just waiting for you to grab them when the urge to munch hits or when you need something to get you over the afternoon slump. 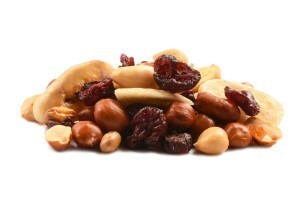 Chances are your schedule is hectic and you need grab-and-go snacks to pack in your lunch bag or your kid’s lunch bag. You don’t have to veer away from a healthy eating plan to find quick, easy and incredibly healthy snacks that you can enjoy at home or on the go. 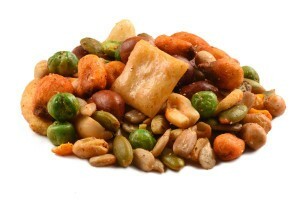 If you make trail mix bulk purchases, you can stock your pantry with an assortment of healthy trail mix. 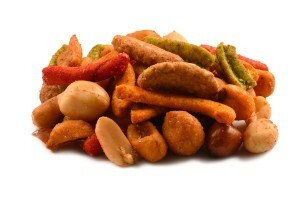 That will assure that you always have a nutritional, delicious snack that you and your family can enjoy anytime. There’s sufficient diversity in the various trail mix combinations to keep you from getting bored with your snack routine. Each mix has its own unique characteristics, yet retains its status as a nutritionally rich treat. You don’t have to break your budget to eat healthy. 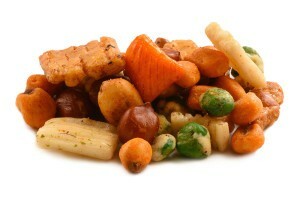 You can do something good for your health and your budget by making great value trail mix a regular part of your diet. 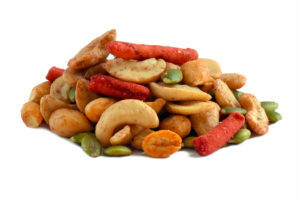 Great value trail mix is also a time saver for those who seem to always have a busy schedule and can benefit from convenient, pre-made snack mixes. 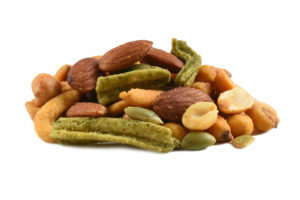 Making trail mix wholesale purchases can further increase the money-saving benefit and time reduction benefit associated with this healthy snack choice. 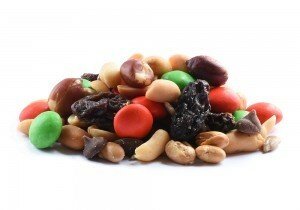 Trail mix is an extremely versatile snack. It’s an ideal portable snack to pack when you’re going on an outdoor adventure. It’s a convenient item to pack in a lunch bag. 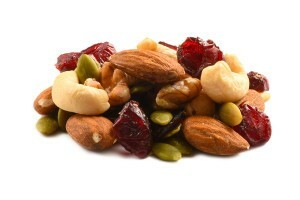 Trail mixes are also a fantastic snack for family night. By keeping a variety of mixes on hand, everyone can choose their favorite blend and enjoy a bag of trail mix while watching a movie, playing board games or doing whatever your family enjoys doing together. 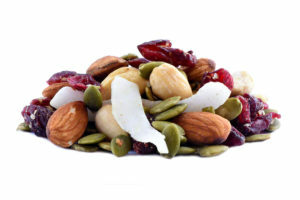 The ingredients in our healthy trail mix were selected for inclusion because of the many health benefits they offer and for their nutritional benefits. 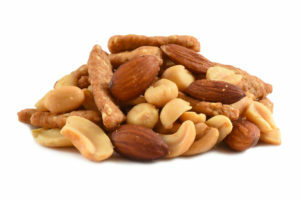 The mixes include heart healthy nuts such as almonds, peanuts and Brazil nuts. 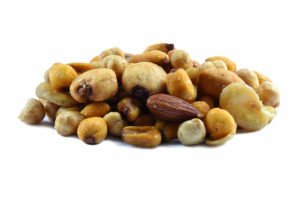 These nuts also have qualities that make them beneficial in maintaining proper cholesterol levels, stabilizing blood pressure and supporting insulin levels. 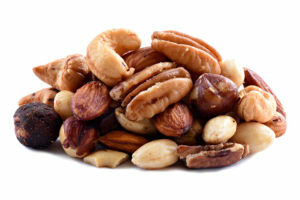 These nuts are good source of vitamins such as vitamin E and B2 . 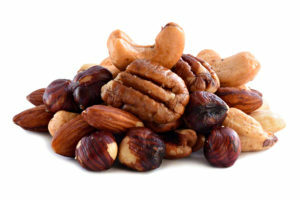 They contain folate, niacin, Thiamine, Pantothenic acid, Pyridozine Riboflavin and omega-3 fatty acid. When you choose a trail mix containing cranberries as part of your snack routine, you’ll be getting phyto-nutrients, protein, copper, iron, manganese calcium, zinc and other beneficial nutrients. 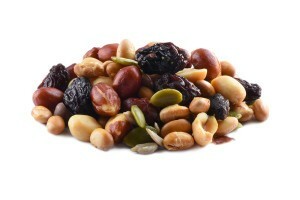 Some of our healthy trail mix choices include raisins. 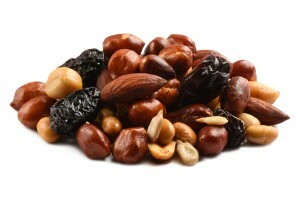 Raisins are a good source of potassium, falvonoids, resveratrol and fiber. 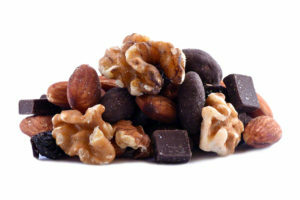 While raisins and cranberries add sweetness to a trail mix, there are times when you crave chocolate. 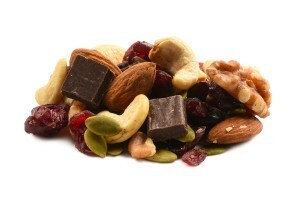 Dark chocolate is included in some of our trail mix selections. Dark chocolate earns its place in a healthy diet because of the health benefits associated with it. Dark chocolate has been shown to be support heart health and cognitive function. 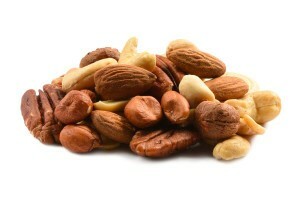 It has fiber, iron, copper, manganese, potassium, phosphorus, zinc, selenium and antioxidants. At first glance, you might be concerned about the calorie count of these visually enticing healthy trail mix selections. Once you begin examining each mix, you’ll see that you can reap the health benefits and acquire a considerable amount of the daily requirement value of certain vitamins and nutrients without exceeding 200 calories. The calorie count for these mixes falls within a range of 140 to 200 calories. 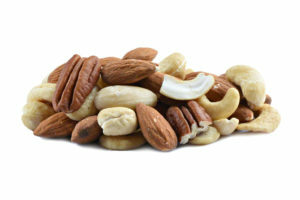 A bag of trail mix is far more beneficial and more in line with a weight loss plan than many of the unhealthy snack choices you might be tempted to make. Making trail mix bulk buys a regular part of your shopping plan is a budget-friendly way to support a healthy or weight loss diet plan. It’s better for your overall health to fill your pantry with healthy snacks instead of high-calorie snacks that offer no health or nutritional benefits.